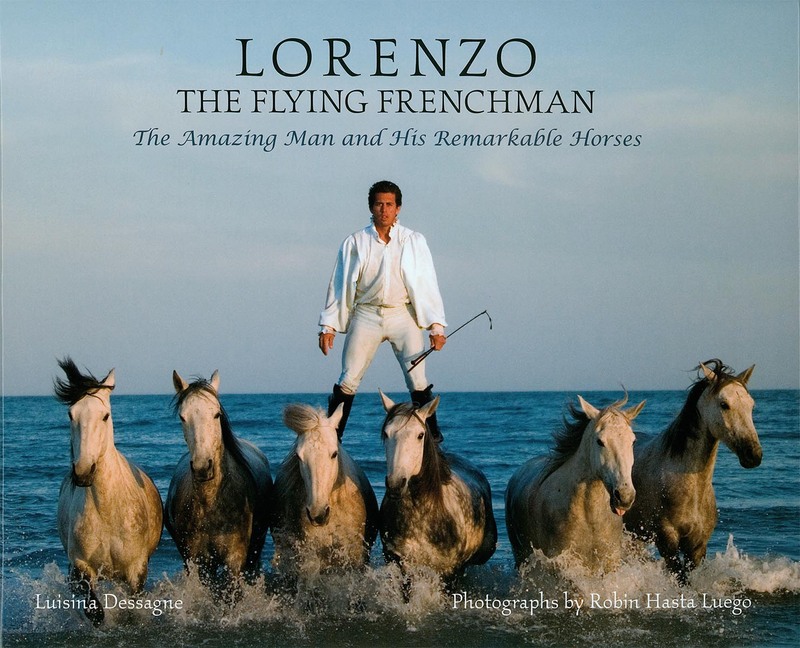 Once you get past the notion that Lorenzo on the cover looks just like Jerry Seinfeld in the Puffy Shirt episode (more pictures here ), you can get down to business enjoying the photos and text chronicling his remarkable life with horses. Just the section of the book that tells about his acquisition of the six grey horses shown on the cover is worth the price of the whole book; He went to Portugal and purchased a mob of unhandled 2-year-old fillies. Descriptive terms used are "wild and unruly", "real little devils", "wild as a pack of young wolves". As you can see, the transformation is remarkable. Throughout this book you will follow Lorenzo through his childhood, through the development of his training methods, and finally as a renowned performer. And yes, he does occasionally fall off and get hurt. The book talks candidly about that, too. It's a wonderful addition to any equine library. This book is profusely illustrated throughout with big color photos chronicling the training process and the performances. Most impressive to me is the pleasant expressions that all the horses wear, in all the photos. Ever see a group of mares confined in close proximity to each other? Most likely everybody in the gang wasn't smiling. Probably there was some scowling and ear pinning going on. Lorenzo's got these girls so busy with their jobs that they practically look like they're whistling while they work! Never mind the bridleless roman riding... getting 6 mares not to look crabby at each other is the real feat!